Darwin concluded On the origin of species with the words: 'There is grandeur in this view of life, with its several powers, having been originally breathed into a few forms or into one; and that, whilst this planet has gone cycling on according to the fixed law of gravity, from so simple a beginning endless forms most beautiful and most wonderful have been, and are being, evolved.' This was his first use of the word 'evolution', in any form, in print. 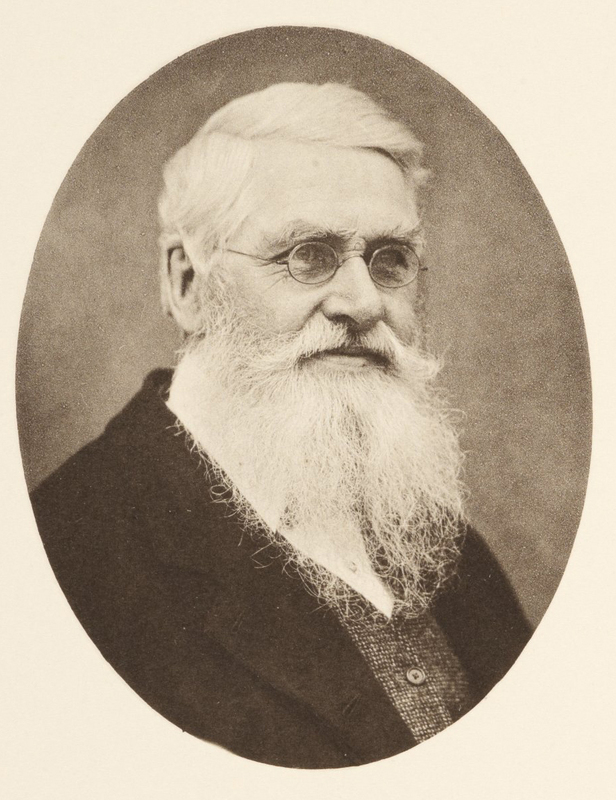 He did not invent the term but with his mechanism of 'natural selection', supplemented by ideas about sexual selection, 'divergence' and inheritance, he did describe just how evolution - the continual development of new organisms - could take place. At last gleams of light have come, & I am almost convinced (quite contrary to opinion I started with) that species are not (it is like confessing a murder) immutable. If, as I believe that my theory is true & if it be accepted even by one competent judge, it will be a considerable step in science. I have lately been especially attending to Geograph. Distrib, & most splendid sport it is,—a grand game of chess with the world for a Board. The facts which kept me longest scientifically orthodox are those of adaptation … This difficulty, I believe I have surmounted. …if my explanation of these classes of facts be at all right, whole classes of organic beings must be included in one line of descent. Origin is 157 years old. 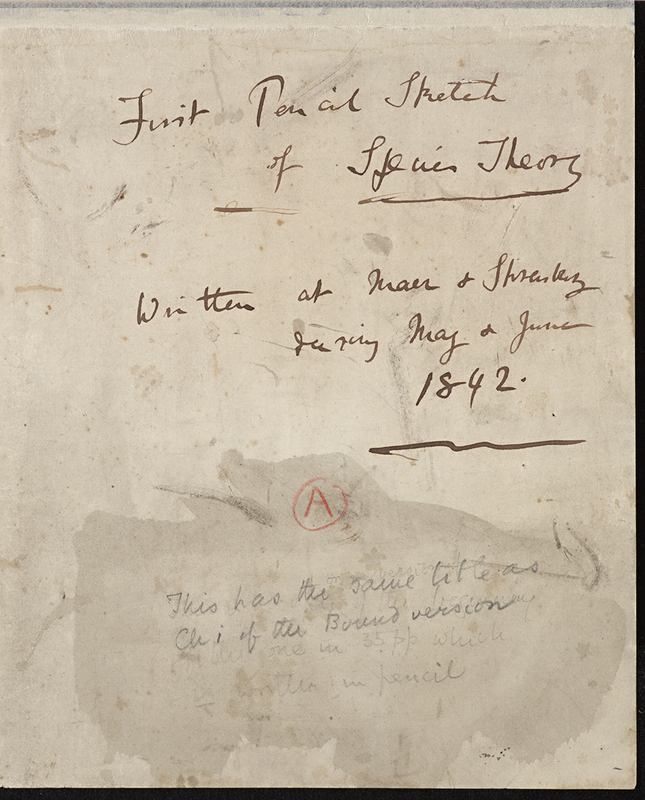 (Probably) the most famous book in science was published on 24 November 1859. To celebrate we have uploaded hundreds of new images of letters, bringing the total number you can look at here to over 9000 representing more than 2000 letters, written both before and after the book appeared. 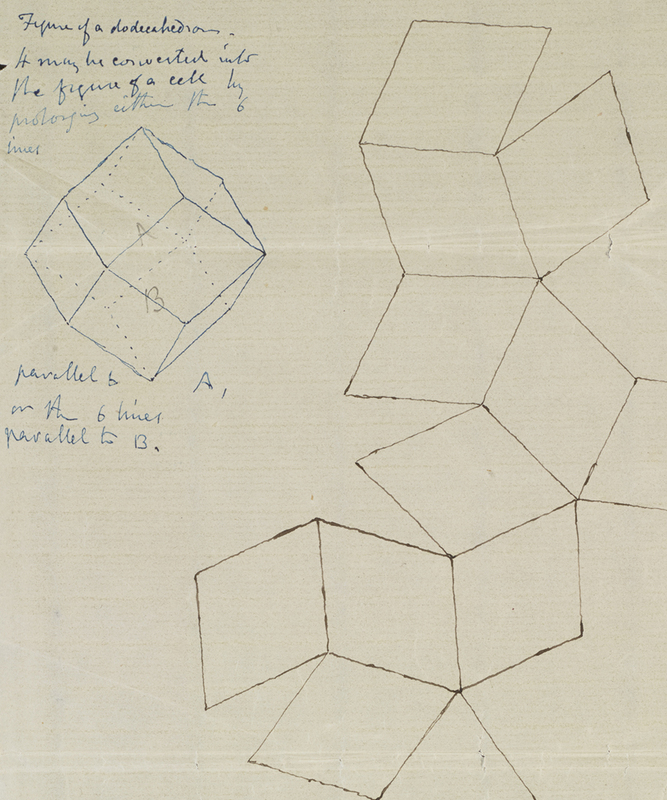 You can now see examples of letters to Darwin from nearly 250 different people, and letters he wrote to 150 more. …the wicked book which you have been so long a-hatching. 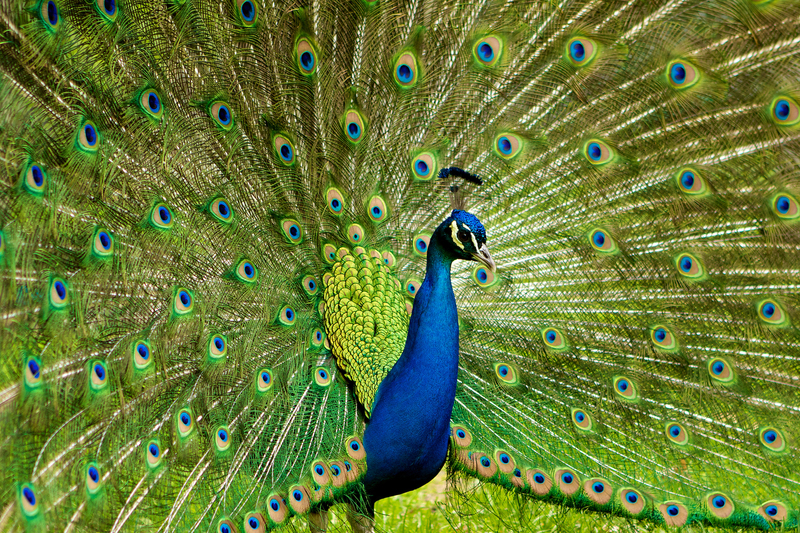 Although natural selection could explain the differences between species, Darwin realised that (other than in the reproductive organs themselves) it could not explain the often marked differences between the males and females of the same species. So what accounted for these 'secondary sexual characteristics'? The longer manes in male lions and beards in male humans? Antlers or horns being so much smaller, or completely absent, in some female deer or cattle? 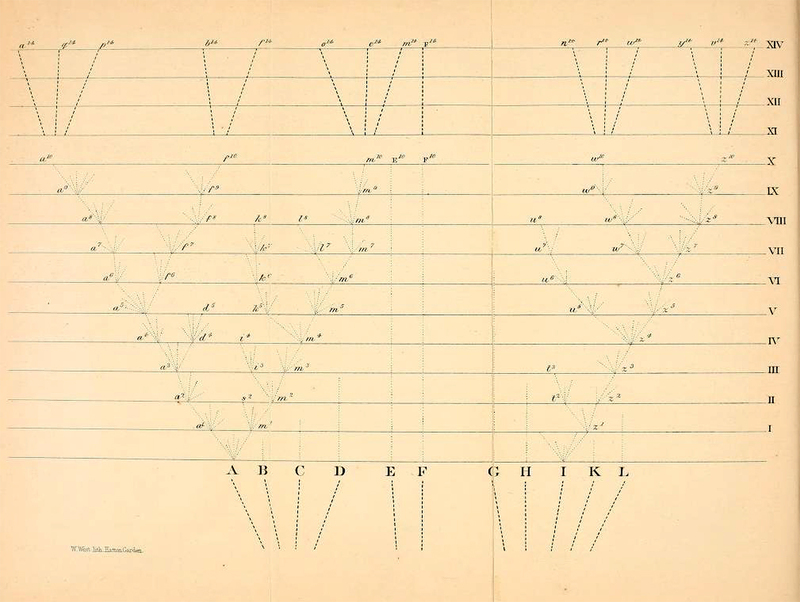 In a later account of how he had come to the evolutionary ideas published in Origin, Darwin wrote: 'Of all the minor points, the last which I appreciated was the importance & cause of the principle of Divergence' (to Ernst Haeckel, [after 10] August – 8 October ). The original manuscript about varieties that Wallace composed on the island of Gilolo and sent to Darwin from the neighbouring island of Ternate (Brooks 1984) has not been found. 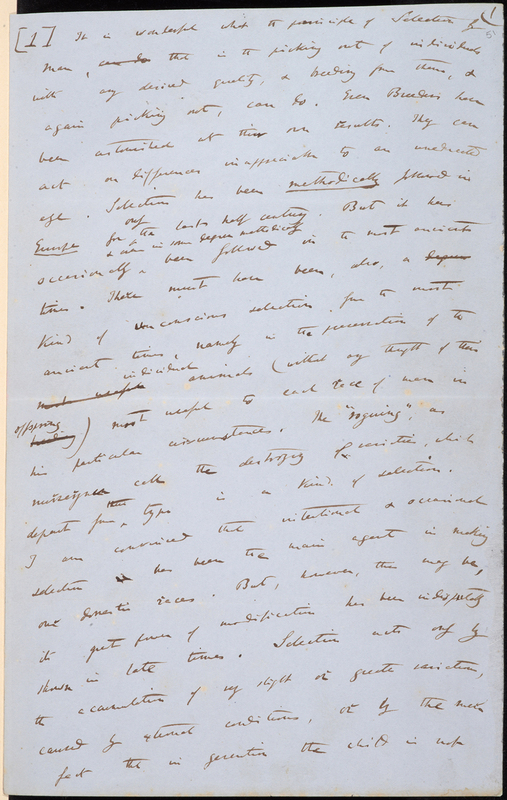 It was sent to Darwin as an enclosure in a letter (itself missing), and was subsequently sent by Darwin to Charles Lyell (letter to Charles Lyell, 18 [June 1858]). The only known version of the text is the one published in Journal of the Proceedings of the Linnean Society (Zoology) 3 (1859): 45–62, and this text is reprinted below. CD gratified that ED wants to translate hisJournal. Will send a copy ofCoral reefs, which contains a fuller treatment of topic. Perhaps ED would insert a note to this effect. Can lend woodcuts fromCoral reefsif ED wants. CD will send a few corrections; he wants to amend way he criticised Agassiz’s glacier theory. He is also enclosing a questionnaire concerning differences between races or varieties and species, about which he intends to publish sometime. Queries on ratios of species to genera on southern islands. CD’s observations on distribution of Galapagos organisms, and on S. American fossils, and facts he has gathered since, lead him to conclusion that species are not immutable; "it is like confessing a murder". Asks whether LJ can throw light on this subject: "What are the checks and what the periods of life by which the increase of any given species is limited?" CD has been driven to conclude that species are mutable; allied species are co-descendants from common stocks. Going to Shrewsbury on Monday. Means to attempt the question of species: "though I shall get more kicks than half-pennies, I will, life serving, attempt my work". What does CD think of A. R. Wallace’s paper in theAnnals & Magazine of Natural History["On the law which has regulated the introduction of new species", n.s. 16 (1855): 184–96]? EB considers it good on the whole. Regional variations in bird species. EB has little faith in the aboriginal wildness of the Chillingham cattle. Races of humped cattle of India, China, and Africa. Indian and Malayan gigantic squirrels, with various races remaining true to their colour, would afford capital data for Wallace, as would the local varieties of certain molluscs. Has Wallace’s lucid collation of facts unsettled CD’s ideas regarding the persistence of species? Bengal hybrid race of geese is very uniform in colour and as prolific as the European tame goose [seeNatural selection, p. 439]. Will see what he can do for CD with regard to domestic pigeons. Hopes GHKT will publish on variations in plant species at different elevations. Asks about variations among plants on heights of Ceylon. Promises to publish on the species question. 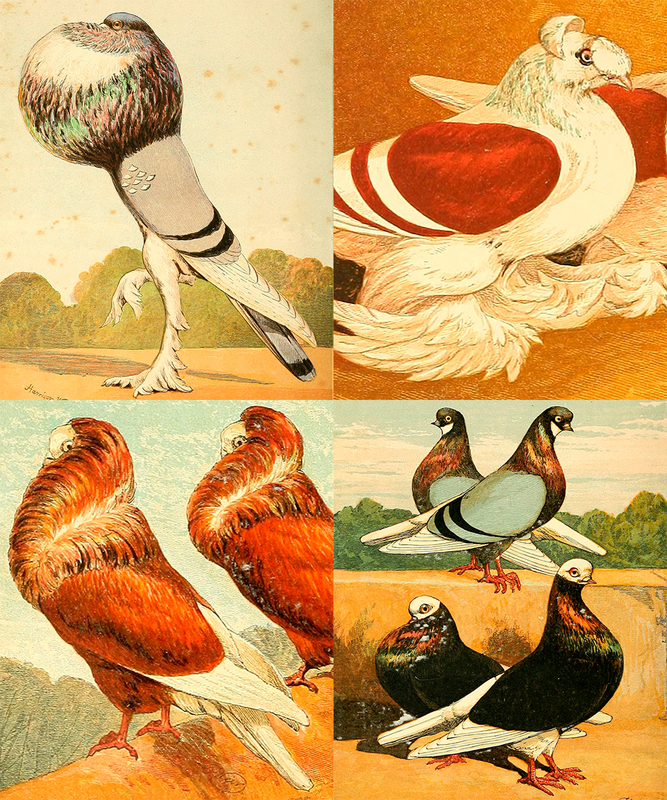 Asks for pigeons’ skins from India or Ceylon, and for ducks’ skeletons. Mentions help promised by E. F. Kelaart. Agrees that Lyell’s letters shed no new light on extensions issue. Continental extensions: opposes their being hypothesised all over world. Commonality of alpine plants damns both extension and migration. Believes species have arisen, like domestic varieties, with much extinction, and that there are no such things as independently created species. Explains why he believes species of the same genusgenerallyhave a common or continuous area; they are actual lineal descendants.